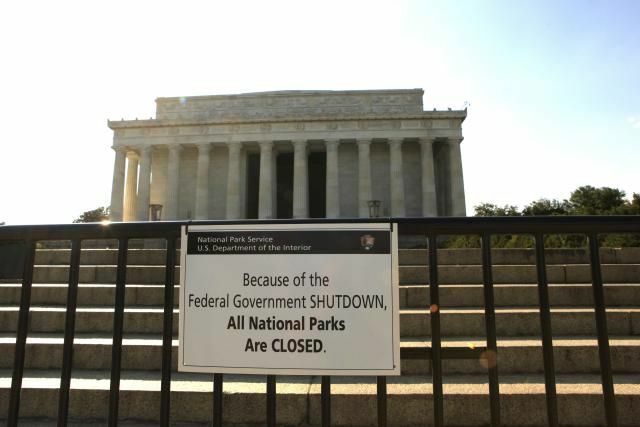 One of the strangest things about the United States government is that Congress can shut down the federal government, which means thousands of government employees work without a paycheck or don't work at all. The ironic part is that Congress is still being paid their salary the entire time... In situations like this, it's best to resort to comedy, or else you might be overcome with rage. Pluto demands to be a planet again or it will shut down the universe. Next time you accuse a teenage girl of overreacting, just remember that a whole bunch of elderly white men shut down the government because they weren't getting their way. Who ever said John Boehner didn't achieve anything during the government shutdown? How do you know you're on the losing side of a political issue? When Sarah Palin is standing next to you. Kim Jong-un vows to destroy America but finds that Republicans have already beat him to the punch. Schadenboehner — taking pleasure in the misfortune of John Boehner following the government shutdown fiasco. Government Not Working? Try Turning It off and on Again. Obama: Hi, I'm having some trouble with my government. IT Guy: Have you tried turning it off and on again. Queen Elizabeth seizes the moment during the government shutdown and attempts to reclaim America for England. 14 percent? No! 10 percent? No! 5 percent? Yes...for now. Look, you think Obamacare's a big enough threat to this country that you need to shut down the government over it, fine. Own it. Don't fart and point at the dog." –Jon Stewart on Republicans trying to shift the blame for the government shutdown despite claiming to be "the party of personal responsibility"